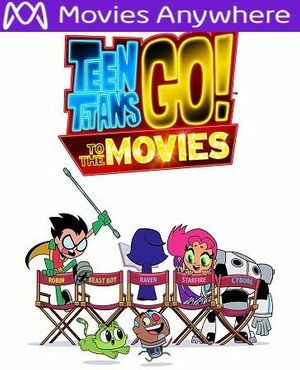 Digital UltraViolet and Digital Copy will makes it possible for you to stream the movie Teen Titans Go! To the Movies HD UV or iTunes Code instantly to your computer and compatible Smartphones, Andriod, iphone, iPod Touch, iPad and tablets devices anytime, anywhere. You can also download a Digital UltraViolet Copy or a Digital Copy of the movie Teen Titans Go! To the Movies UV or iTunes Code to your computer and compatible devices. 5.0 out of 5 stars Ignited a love of Teen Titans in my son...and in me! Man, this is one funny movie. It�s got funny little quips, lotsa action for the kiddos, silly antics, and (most importantly) great songs! I was aware of the Teen Titans but never really gave them a watch. As a 32 year old father, this definitely appealed to me on a few levels. They make lots of great references to old super heroes and even a �Back to the Future� and �Lion King� segment that was spot on. The movie and tv show are weird in a good way. It does feature some cartoon violence and at one point an enthusiastic bear singing a motivational song gets run over...buuuut I just told me son in cartoons, everyone is alright in the next scene. He ate the whole movie up and now listens to the soundtrack while signing along, watches the show, and wants to dress up as �Robin, Robin, the leader� for Halloween. I couldn�t recommend it more for a mature 6/7 year old and up.